Throughout history, different authors have indicated varying schemes for dispensations, but most use a system modified and popularized by Cyrus Scofield in the early 20th century. Scofield stated that “a dispensation is a period of time during which man is tested in respect to his obedience to some specific revelation of the will of God.”3 It is not doctrine, dogma, or religious tenet – it is just a tool to help with organization and interpretation. Today, dispensationalism comes in many “flavors” dispensed by various Christian authors and groups, including the adding of all types of specific beliefs, like varying rapture ideas: pre-tribulation, mid-tribulation, or post-tribulation concepts. Some Christian leaders and churches debate between what they call classic dispensationists and progressive dispensationists; some say there are four dispensations, some that there are five, and some say seven or eight. Some theologians differ on which verses to include in a particular dispensation. And then, some declare precise and/or elaborate schemes that they call a dispensational theology. And the list goes on. This conservative author considers there are benefits to approaching Bible study using a basic structured dispensational concept without including all the extra baggage added by an assortment of Christian visionaries over the past 100 plus years. The basic system used in this study is dividing the Bible into eight periods in which God deals with humankind in different ways. This discourse will not include all the details of each period, but a scant overview. It is assumed that the reader has a basic biblical knowledge of the time periods and the expanse of stories that accompany them. First is the “Dispensation of Innocence” and covers Genesis 1:26–3:7 and it involves how God dealt with his new human creatures from their creation to the moment of losing their innocence. This period of time could, very well, also be called the Eden period, as it involved the elementary God-given rule dispensed to Adam and Eve while living in the garden of Eden. Although some authors disagree, innocence is really an accurate description. Adam and Eve were naive and guiltless, so their condition matched the definition of innocence. Their stewardship was to take care of the garden and obey a simple law that God dispensed: don’t eat of the tree of the knowledge of good and evil. Adam was fully at fault for their failure, even though Eve was the one deceived and who first ate the fruit. Adam was given that simple law, along with the responsibilities of tilling the ground, before Eve was created (Genesis 2:15–17). Eve was his helper, his counterpart for which he was responsible. Basically, the only rule involved was that they obey God. That primary responsibility, it turned out, was too much for them to handle. In speaking to Adam, Eve, and the serpent, God gave grievous punishments to them. For the humans, great hardship and death would be upon them and their descendants, but there was also a hint that all would work out in the end (Genesis 3:15). 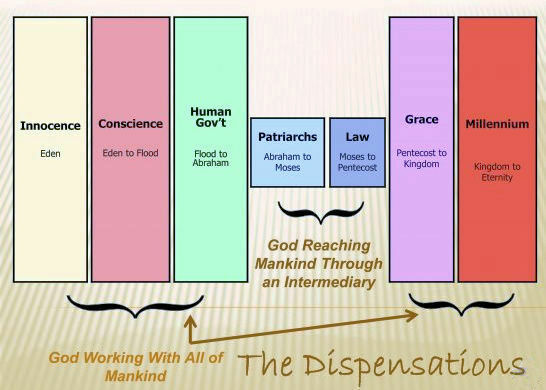 Second is the “Dispensation of Conscience.” This time covers Genesis 3:8–8:14 and is sometimes called the antediluvian period, because it dealt with God’s administration after being removed from the garden in Eden to the time of the flood. 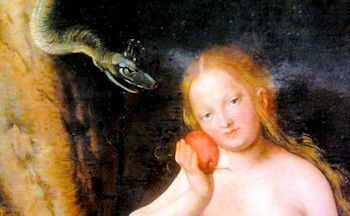 Humankind had obtained its awareness of good and evil, as a result of eating the forbidden fruit and learned, as well, that there are consequences attached to their choices. Now a test period is established to see if humankind would use their conscience to make proper decisions. The idea for that was simple: to do only good. In Genesis chapter four, Cain and Abel, two sons of Adam and Eve, brought offerings to the Lord. Cain’s offering was part of his crop, whereas Abel’s gift was the best portion of “the firstborn lambs from his flock. The Lord accepted Abel and his gift, but did not accept Cain and his gift. This made Cain very angry, and he looked dejected” (Genesis 4:3–5, NLT). Cain was jealous and killed his brother. So, murder began as a consequence of humankind’s rebellion against God’s rule. Cain built a city that was godless and filled with violence. Humankind had failed again. Evil filled the world by the time Noah arrived and, through him, God devised a way to cleanse the earth and give humankind a fresh start. Next is the “Dispensation of Civil Government” and covers the span of time as recorded in Genesis 8:15–11:9, starting immediately after the flood event and ends with the tower of Babel fiasco. During this time period, God dispenses instructions to multiply and fill the earth, and the right to rule over others, administer capital punishment, and to use animals, which now fear humans, as a source of food. God continues instructing with emphasis on blood, giving more direction than the simple required sacrifice that appeared in the last dispensation. He also promised to never flood the earth again and gave the rainbow as a symbol of that promise (Genesis 9:1–17). The rules and laws applied in the previous dispensations did not disappear, but continued under this new strategy, as it was with all new dispensations. Instead of filling the earth, humankind decided to group together and build a large city and tower in Babel. Once again, humankind didn’t fair very well with their choices, so God sent judgement by the confusion of languages forcing them to scatter over the face of the earth. Now we enter the fourth period, the “Dispensation of Promise” (promise to Abraham). Genesis 11:10–Exodus 18:27 could also be called a dispensation of patriarchal rule, because God moves from a direct governing relationship with his creation, to one where he relates to the population indirectly through one family line. God dealt graciously with Abraham and his descendants and made a covenant (Genesis 15). God promised Abraham that he would bless him, make his name great, protect him, and give him land. The promise included that he would be guaranteed many descendants and be the father of many nations. Furthermore, humankind’s redeemer would come through his bloodline. A lot happens during this period of time, including the stories of God changing Abraham’s name,4 Sodom and Gomorrah, the beginning of the Arab race, and God asking Abraham to sacrifice his son, Isaac. 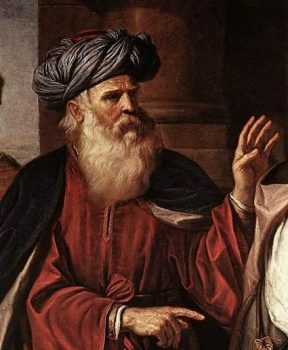 It follows with the birth and earlier life of Moses — when he was born and how he dealt with Pharaoh and then the escape from Egypt, including the time in the wilderness. In this new dispensation, humankind needed to learn that God’s promise was an incentive to do good. Humankind failed, once again. Get the idea — know where this is going? This period ends when God summoned Moses to the top of Mount Sinai. The fifth is the “Dispensation of Law,” or the Mosaic period, when God establishes specific laws for which people were responsible for obeying. The Bible records this long period at Exodus 20–Acts 1, which includes everything of the remaining old testament books as well as the Gospels. Although there were more than 600 laws given to Moses by God, which cover all modes of living, the nucleus of the Mosaic Law was the decalogue written by God, on tablets of stone at Mount Sinai, early in this period. Those ten commandments consisted of some rules concerning their relationship with God and some rules concerning relationships between people. These laws were a renewal of God’s covenant with Israel and imposed penalties if they were broken. This was a new way to administer to his people and gave structure to society and provided for a better relationship between them. The commandments would be beneficial to anyone, but God was now dealing, specifically, with his chosen people, Israel, and they were responsible for following them all. Of course, more failure was the result. Moses didn’t even get away from Mount Sinai before the people started to ignore the laws and, as a result, God’s judgement was brought upon Israel. And Israel failed over and over again which brought punishment upon them. Most notable was the Assyrian and Babylonian captivities, and the Greek and Roman oppression. 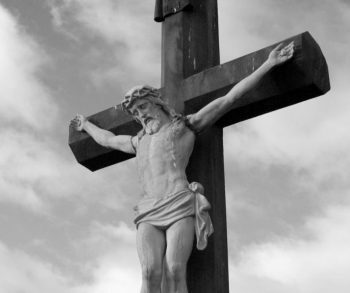 Blood sacrifice was amplified throughout this dispensation, ending with Christ’s crucifixion, which was a rejection by the Jews of its Messiah. Humankind failed this dispensation, too. The sixth age brings the “Dispensation of Grace” — this present dispensation — which records how humankind’s newest responsibility is to accept God’s free gift of justification (through the crucifixion of Jesus Christ) and is recorded in Acts 2–Revelation 19:21. This period is from shortly after Jesus’s death to his second coming and toward the end of the dispensation, when the tribulations will occur. Some people refer to this time as the Church age because it also covers the creation, expansion, and maturing of the Christian Church and illustrates how they behaved. This dispensation of grace was presented to the apostle Paul to disseminate (Ephesians 3:2; Colossians 1:25-27) and he did so, far and wide, with several missionary journeys. This current period will fail, too, because the majority have not, do not, will not accept this free gift and will be judged accordingly. Current events give us an indication of how close we are to the close of this age, and some alive on earth now may witness the outcome from this dispensation. The seventh age will be the “Dispensation of the Millennium” and starts after Satan is bound for a thousand years. That starts the long expected millennial reign of Christ which begins at Revelation 20:1–6. 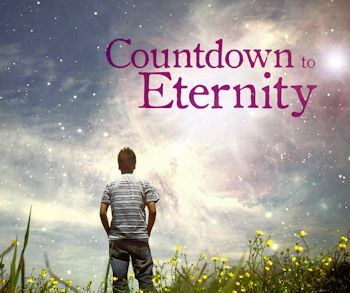 That age will bring about a righteous rule during the theocratic reign of Christ and provide a final fulfillment of the promises made to Abraham and a full restitution of what was lost in the garden of Eden. During this time, Satan will be bound and war will be eradicated. We will live longer, food will be abundant, and our climate will be restrained. The first resurrection will occur during this time, when the saints of Christ come alive and reign with him for the duration of the millennium. Even after living during the wonderful conditions of the seventh dispensation, with no influence from Satan and a thousand years to get their act together, it is expected that some will not survive when Satan is released, again. John’s vision in Revelation 20:7,8 states that after the thousand years, Satan will be released and return to deceive the nations. That will be similar to the situation that occurred in the garden of Eden, when Satan deceived Eve. This time, humankind will have experienced all forms of government and, hopefully, learned that they need rule from a perfect King to obtain a perfect life, and they must choose this path of their own free will. The end of the Bible tells of Satan gathering forces to do battle with God’s people. “He will go out to deceive the nations—called Gog and Magog—in every corner of the earth. He will gather them together for battle—a mighty army, as numberless as sand along the seashore. And I saw them as they went up on the broad plain of the earth and surrounded God’s people and the beloved city. But fire from heaven came down on the attacking armies and consumed them. Then the devil, who had deceived them, was thrown into the fiery lake of burning sulfur, joining the beast and the false prophet. There they will be tormented day and night forever and ever” (Revelation 20:8–10, NLT). Finally, the dead will be judged according to their deeds. Then death and the grave will be thrown in the lake of fire along with all those whose name was not found in the Book of Life. After this, there will be a real new world order, one that is under the full administration of Jesus and one will last forever. There are many approaches to studying the Bible. This author hopes that the dispensational approach will be a useful tool in understanding how God has administered to his chosen people and how the Church, through testing our faith, is in need of divine leadership. It is a structured and systematic study for explaining God’s relationship with us as his plan unfolds and comes to a conclusion with a restitution of all things lost when sin entered the world. Easton, M. G., Easton’s Bible Dictionary, 3rd ed., (London: T. Nelson & Sons, 1897). Note: Original title was Illustrated Bible Dictionary. Scofield, C. I., (Ed. ), The New Scofield Reference Bible, KJV, (New York: Oxford University Press, 1967), p. 3. Note: The quotation is from footnote #3 for the heading at the beginning of Gen 1:28. Note: God changed Abram’s name to Abraham and his wife’s name from Sarai to Sarah when God affirmed his covenant promise in Genesis 17. Elwell, Walter A., (Ed. ), Baker Encyclopedia of the Bible, (Grand Rapids, MI: Bakerhouse Books, 1988), p. 1634. This idea seems to imply that the dispensation of grace we live in allows us to have a direct relationship with God. Is this right? My church says we can’t have a direct relationship with God, but have to go through Jesus. Thanks for your comment. Some Christian groups believe that you must go through Jesus to speak for you and specifically state “in Jesus’ name I pray” which is untrue. The idea of praying “in Jesus’ name” means that we should pray just as he would pray, to honor his reputation and purpose in this world. Saying the words “in Jesus’ name” is not mandatory.